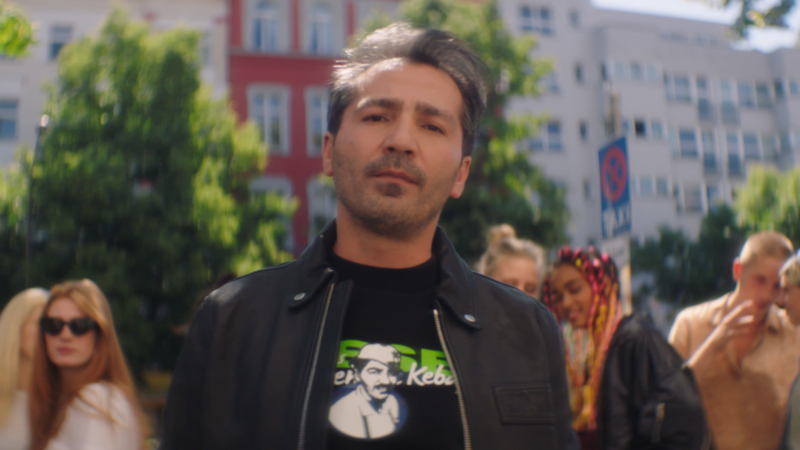 On August 31, just a few days after Germany was shaken by violent riots of neo-Nazis and other far right supporters, Italian fashion giant Diesel put Turks and one of their national dishes, döner, in the media spotlight by announcing a collaboration with Mustafa’s Gemüse Kebap in Berlin. The story has gone global, capturing the attention of fashion media outlets like Vogue and Dazed alongside mainstream media such as Die Welt, GQ Magazine, and the Independent. 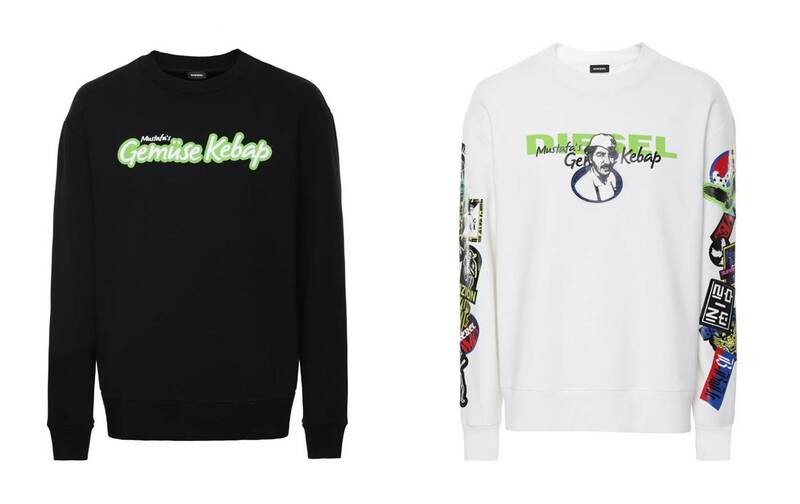 The ‘Diesel x Mustafa’s Gemüse Kebap’ capsule collection was partly created as satire against the fashion industry’s obsessive attitude towards famous names and collaborations. In the fast fashion world, collaborations play a significant part in labels trying to outdo each other. Finding the right brand or person to collaborate with has become a major challenge, so Diesel decided to change tact and instead follow the coolest people in Berlin to see where they congregate. 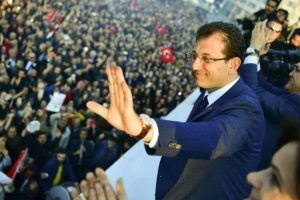 They found them in the city’s longest queue, where people willingly wait for hours to be served by Mustafa’s Gemüse Kebap. Unsurprisingly, Berlin’s trendy young people join the throng of others to tuck into a juicy döner after a day or night out in the vibrant city. This Turkish-origin dish is adored by Germans, who consume two million kebabs a day, according to Gürsel Ülber, spokesman for the Association of Turkish Döner Producers in Europe (ATDiD) in an interview with the BBC in 2017. Without doubt, one of the biggest gifts Turkish migrants have given to Germany is the döner kebab, introduced to the country 50 years ago. Now, the industry is worth £3.55 billion to the German economy, with 40,000 kebab restaurants and take-aways across the country. 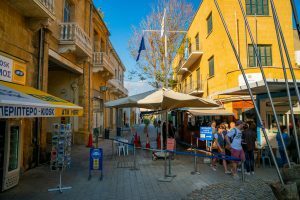 It was hard for him to know how to relate to the 3-month long project, given its extraordinary nature, but Mustafa confirmed he enjoyed being a part of it and suddenly becoming known worldwide. He told WWD that the whole thing makes him “laugh out loud”. And this conversation is much-needed, not only in the fashion industry, but also in the heart of Europe. The far-right is rising in Germany, like many other countries in the West. As the biggest minority in the country, Turks are also under threat. This collaboration reminds everyone about their vital contributions to Germany, which even if often overlooked and underestimated, should not be forgotten. For those interested in the fashion, Diesel’s capsule collection featuring Mustafa’s Gemüse Kebap is only available for a limited time. Check their website to order their ‘spicy, saucy and flavourful’ sweatshirts, t-shirts and hats with graphic interpretations of both Diesel’s and Mustafa’s logos, and wear with pride!